Crickets have thick, sturdy and long hind legs that help them to make big leaps. Most males have a pair of wings, which they rub together to create their infamous “chirping call” to attract the ladies. 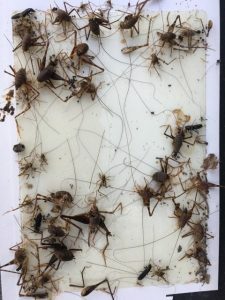 Female crickets have a unique organ called the ovipositor for planting eggs in the soil. Their appearance varies from species to species. Crickets are nocturnal animals and prefer to hunt and mate during the night. Crickets have thick, sturdy and long hind legs that help them to make big leaps. The front legs are significantly smaller and lacking in strength. Mole cricket, unlike other species, isn’t an excellent jumper, despite having strong hind legs. Crickets also have visible spines and tympanum located on the posterior portion of their legs. The function of the tympanum is similar to that of an ear ― to detect different frequencies of sound through its flexible membranes. This is the most distinct part of the cricket. Most males have a pair of wings, which they rub together to create their infamous “chirping call” to attract the ladies. Their appearance varies from species to species. House crickets have a yellowish-black color, whereas field crickets are jet-black or sharpish-brown in appearance. Cave and camel crickets come in three colors, dark brown (lighter than field crickets), bright yellow, and tan. Jerusalem crickets are a blend of yellow and faded black, and have prominent circular rings on their abdomen. Female crickets have a unique organ called the ovipositor for planting eggs in the soil. It is the size of the cricket’s body and has a rounded tip. The antennae of some species are also longer than the main body and like the ovipositor, located at the rear end in a curved orientation. There are approximately 900 known species of crickets in the world. 100 of which are predominantly found in Canada and America. Here are the most typical types of crickets that invade homes. Fully grown house crickets are .75 to 1 inch long. They spend most of their time in outdoors in summers, especially in trash cans, and infiltrate homes during the winters. In homes, they are mostly found nesting in a dark and warm place. They can cause considerable damage to materials, such as silk, cotton wool, and linen. 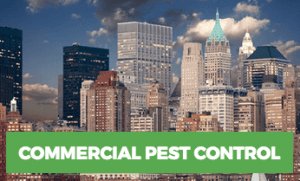 The light and warmth of indoor buildings attract ground crickets in large numbers. They are really small, which is why they are easily able to access buildings and homes. The chirping sound of the male cricket is more screeching and high-pitched than field crickets. They have powerful and long hind legs that help them to make long jumps. They have very prominent antennae and are wingless, unlike other crickets. They live in cool, dark and damp environments, such as caves and under rocks. They head towards buildings in the winter and remain hidden in crawl spaces and underground basements. They don’t cause much of a threat and are only considered as a minor nuisance. As it is evident from the names, this cricket looks like a mole. They make sophisticated underground tunnel systems and live there. They feed on soil and plant roots. They are not good at flying, and only take flight when their home is flooded. This is also one of the reasons why they found refuge in homes. Despite their frightening looks, they are not a major threat to homes or buildings. 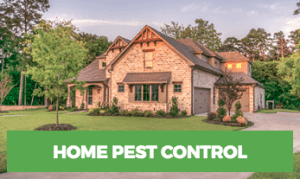 House crickets have evolved and can reproduce indoors, whereas field crickets are restricted to laying their eggs in outdoors, in moist soil. Field crickets also prefer nesting in moist environments and are not likely to invade indoor settings. House crickets, however, are quite commonly found sheltering inside homes, especially near fireplaces. The Jerusalem cricket lives its entire life underground, whereas the mole cricket occupies the top-most layer of the soil surface. Crickets are nocturnal animals and prefer to hunt and mate during the night. However, people have reported occasional sightings during the day. Male crickets are wary of the place they call home and protect it by any means necessary. Some crickets are nomadic and migrate with female crickets from one place to another. After the female deposits its eggs into the soil through the ovipositor, it takes 14 days for the nymph to break the egg capsule and emerge out of the substrate. 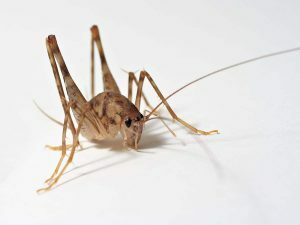 Nymphs are similar to a fully grown cricket. They lack wings, and female nymphs don’t have an ovipositor. To mature, the nymph sheds its exoskeleton in a process known as molting, which repeats itself 8 to 10 times. The new exoskeleton is initially soft and takes a few hours to harden. A nymph has fully-developed wings in about a month’s time. Adult crickets have full-sized wings, and they have only two ambitions in life, to eat and to mate with the ladies. -Incessant chirping sounds emanating from inside the house. -Chewing bites on silk, wool, linen and other soft materials. Crickets have fragile jaws that only used when a human or a predator confronts them. Otherwise, they keep to themselves and cause no harm. However, their bites are stinging and painful. 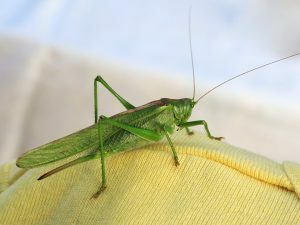 It is advised to use a cream containing an antibacterial chemical to remedy the effects of a cricket bite. Crickets aren’t poisonous animals and do not transmit any disease whatsoever. -Search for cracks or holes in the surroundings of your home and seal them using 100% inorganic caulk. Remember that some species of crickets can squeeze through the tiniest of openings to make sure that you seal these gaps thoroughly. -When buying new furniture or food products, make sure that they are free of crickets and other insects. Sometimes, a package infested with crickets gets delivered to us and spells the start of a large-scale invasion. -Make sure that your lawn or garden doesn’t have any weeds, mulch or tall grass. -Keep firewood a considerable distance away from your home, as crickets can easily use it as shelter. -Tightly close the lids of the trash cans by bricks or some other material. -Make sure that there isn’t a clutter of appliances or some other stuff inside your home.